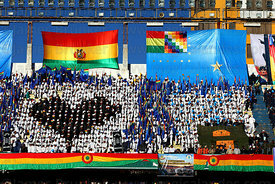 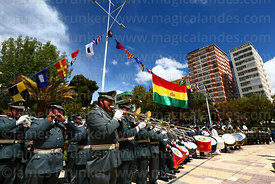 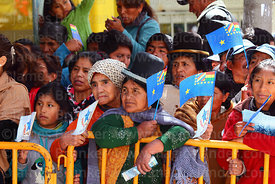 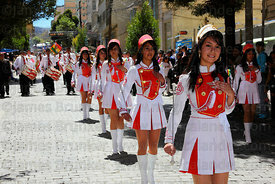 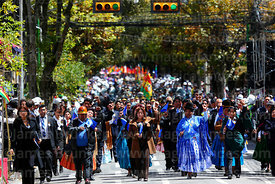 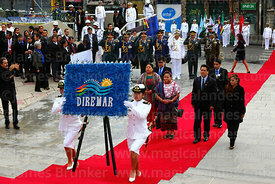 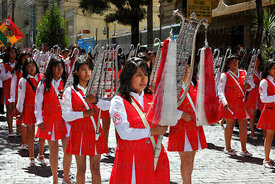 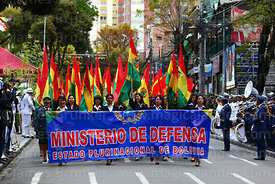 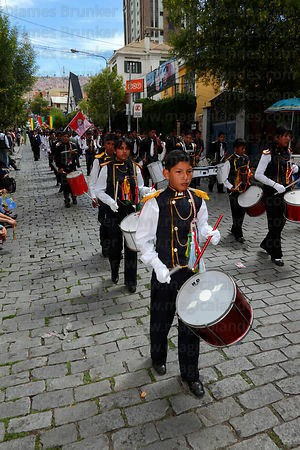 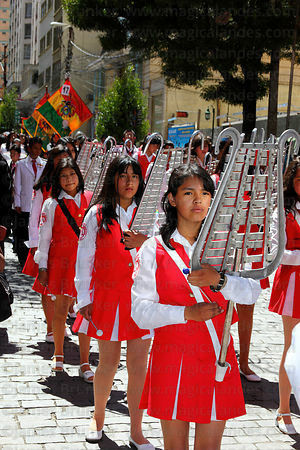 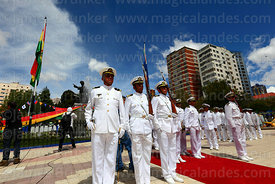 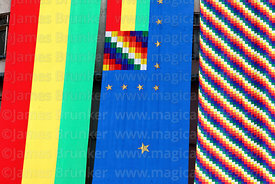 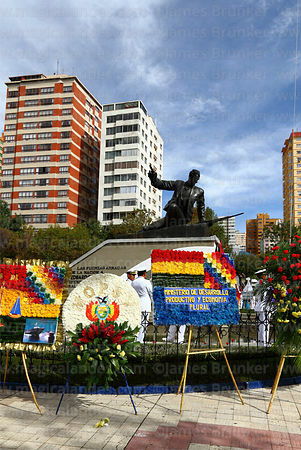 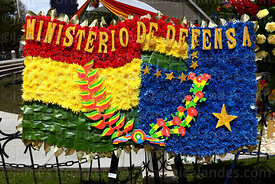 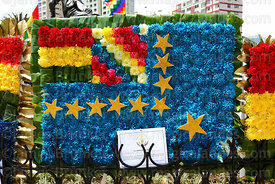 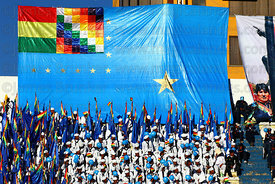 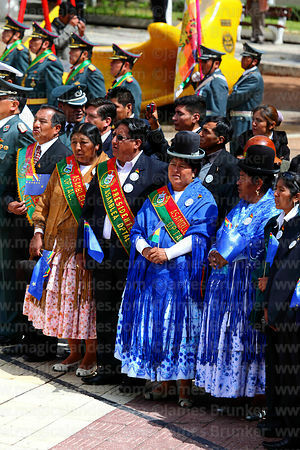 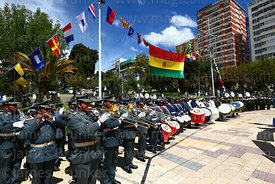 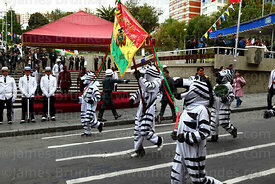 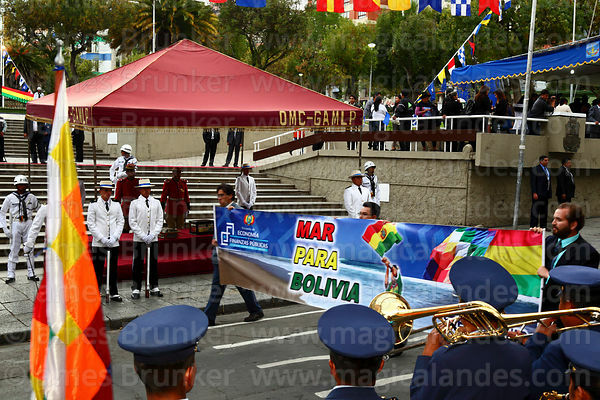 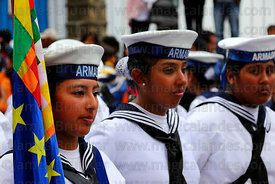 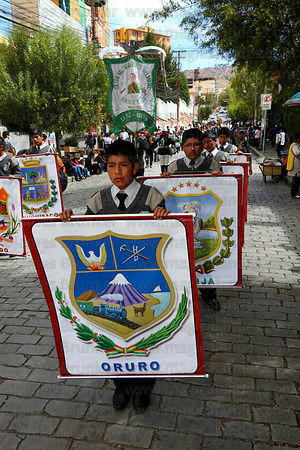 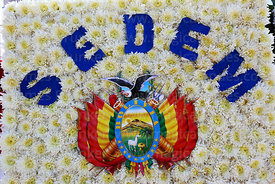 Every year on March 23rd Bolivia celebrates Dia del Mar ("Day of the Sea"), a patriotic event when the country remembers the loss of its coastal Litoral Province as a result of the War of the Pacific with Chile. 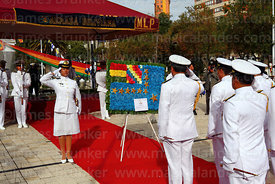 The date is the anniversary of the Battle of Topáter, the first combat of the War which took place on 23rd March 1879. 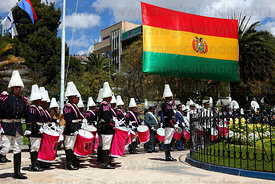 After occupying Antofagasta, Chilean troops marched towards Calama and defeated inferior Bolivian forces who were defending the access route to the town at a river crossing nearby at Topáter. 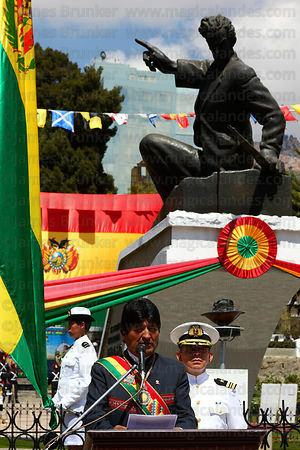 Colonel Eduardo Abaroa Figeroa, who was leading the civilian resistance, refused to surrender to the Chilean forces after the Bolivian military withdrew and was killed in the battle. 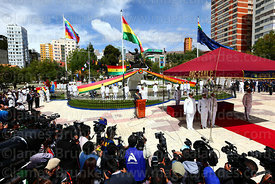 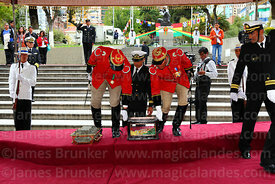 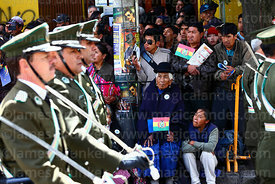 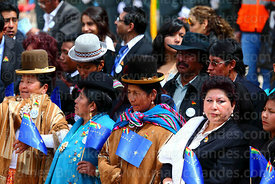 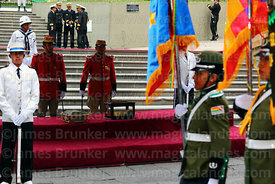 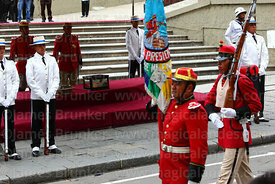 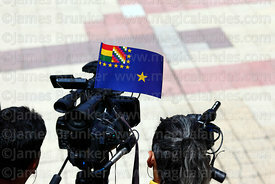 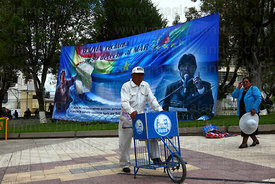 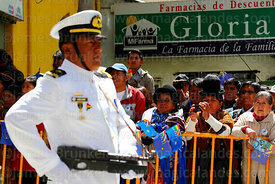 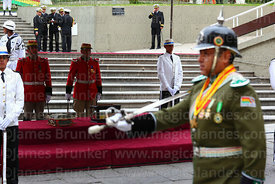 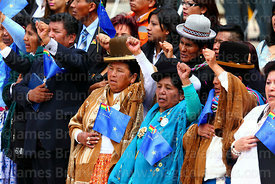 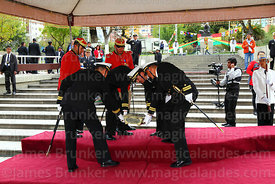 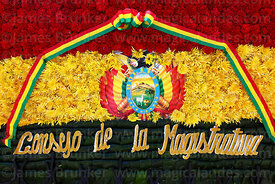 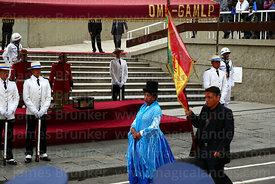 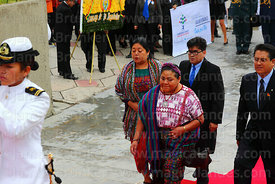 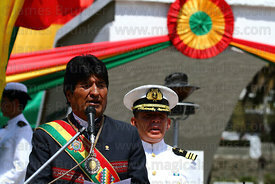 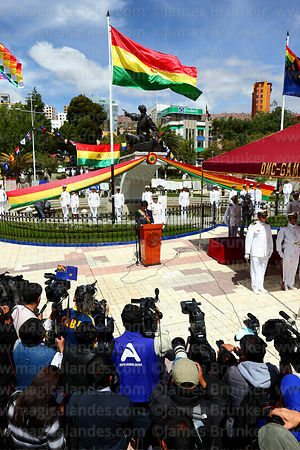 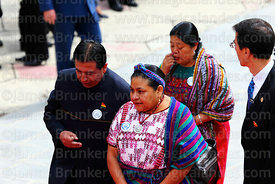 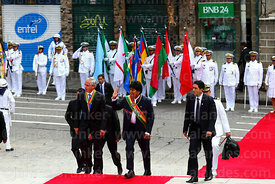 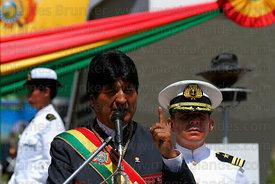 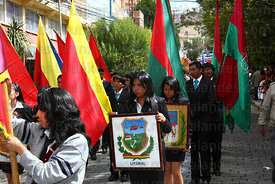 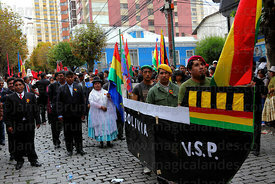 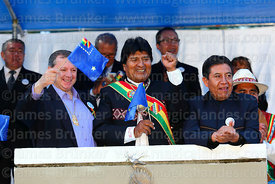 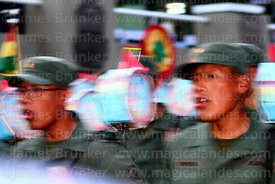 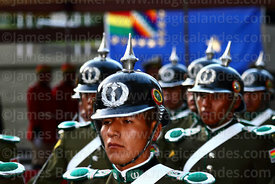 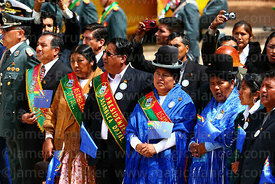 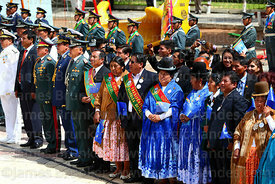 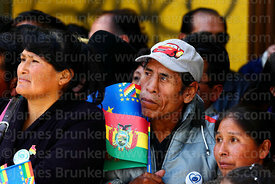 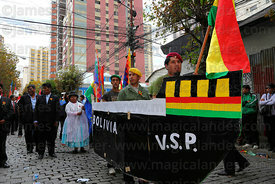 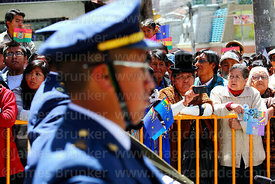 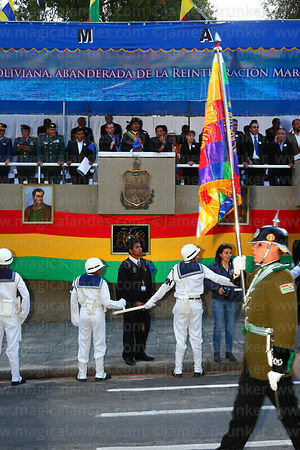 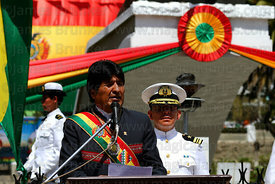 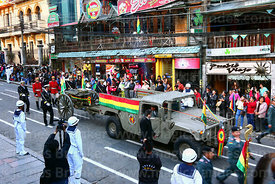 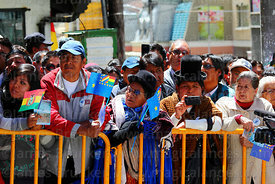 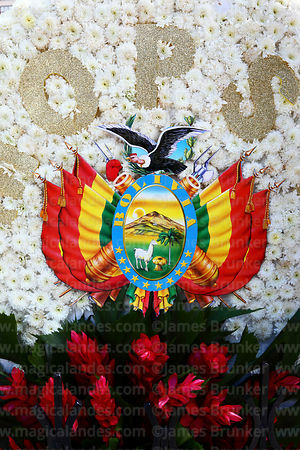 He is Bolivia's main national hero from the War as a result of his defiance. 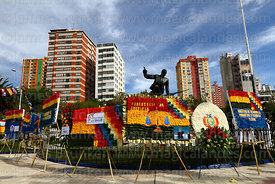 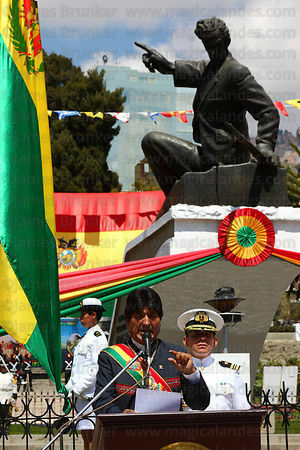 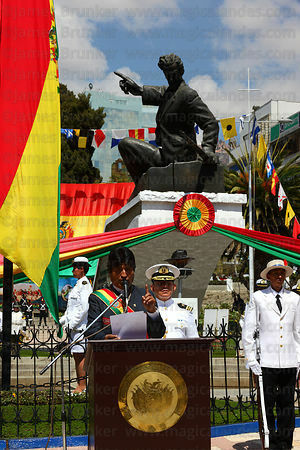 A large statue of him dominates Plaza Abaroa (often written Avaroa) in La Paz, in front of which the main political and military tributes take place during the Day of the Sea. 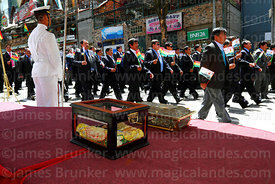 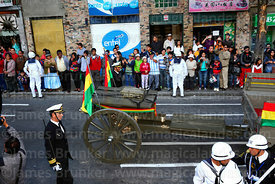 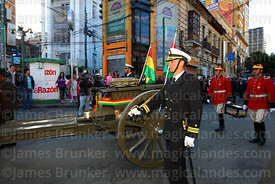 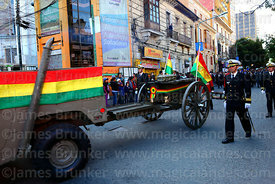 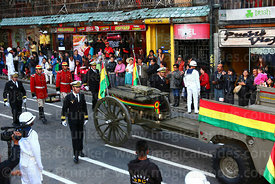 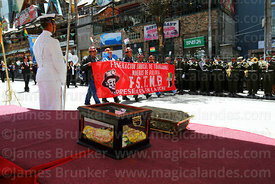 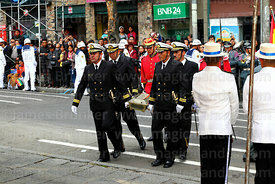 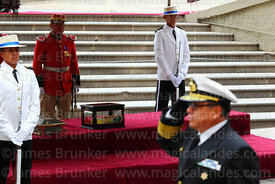 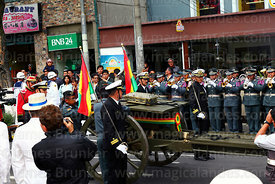 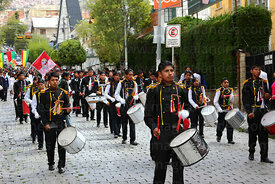 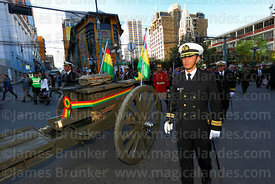 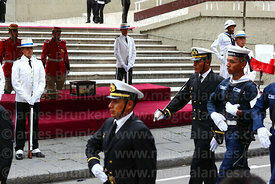 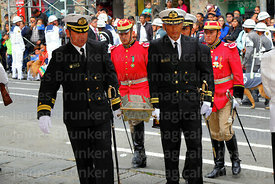 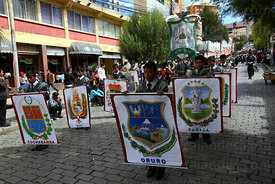 The evening before the event, a casket with Abaroa's remains is paraded through the city centre from San Franciso church to the Plaza. 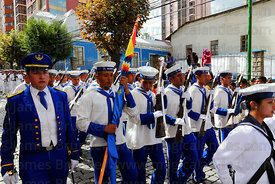 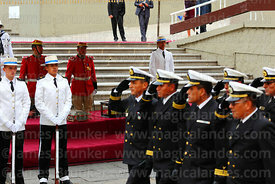 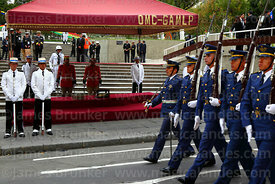 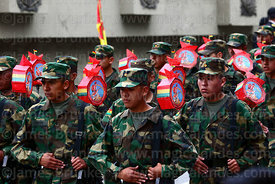 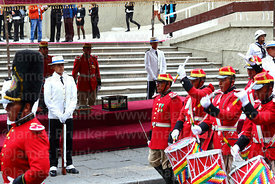 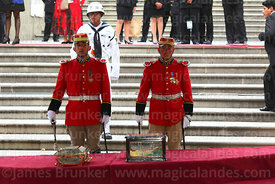 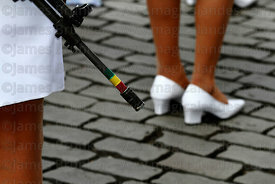 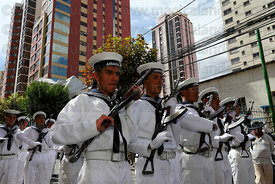 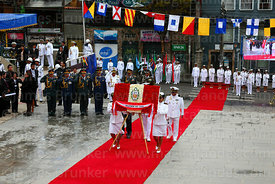 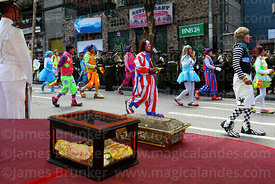 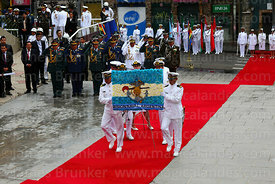 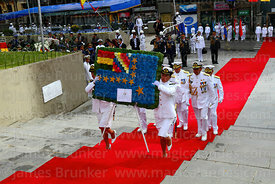 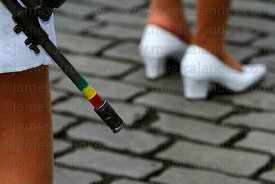 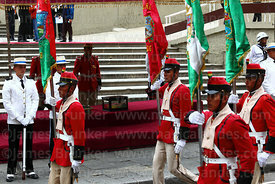 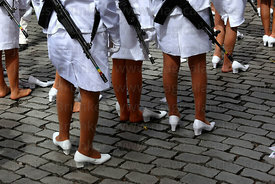 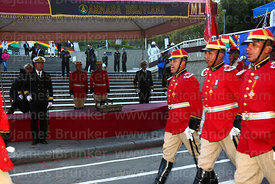 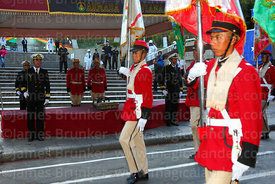 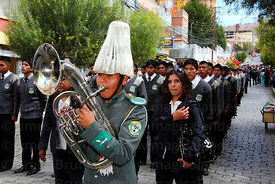 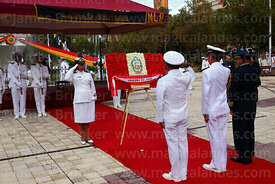 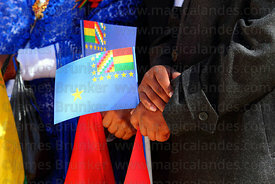 The day is also marked by parades by military and naval units, civic groups and also schools and colleges.